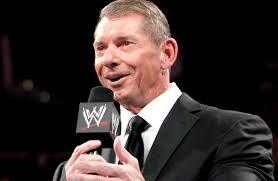 Vince McMahon, wrestling promoter and head of one of the organizations that claimed the acronym WWF. The current legal owner of the acronym claims to represent the environment. I’ll let you judge who is the more entertaining. To raise environmental awareness and get us doing small things in our daily lives that together can have huge impacts. As I said, Earth Hour began in Sydney Australia in 2007. What huge impacts has it brought about there? None. The carbon content of Australian electricity has, according to the 2012 edition of the International Energy Agency’s publication “CO2 Emissions from Fuel Combustion,” barely changed since 2007 (p. 113). It was an embarrassing 850 grams per kilowatt-hour in 2007. That’s very high, higher even than Germany (468 grams in 2010). Over the next three years, it did fall, but only to 847 grams. That is not a huge impact. It’s a huge failure. In other words, the WWF’s “huge impact” on Australia’s CO2 emissions amounts to the reduction of that country’s annual CO2 intensity per kilowatt-hour (CIPK) of grid electricity by a whopping… three grams per kWh in three years. Whoop-dee-doo. By contrast, the CIPK, or carbon content, of Ontario electricity was 114.4 grams at eleven-thirty a.m. today, not even fifteen percent of Australia’s; see Tables 1 and 2 on the left-hand sidebar. What is the CIPK, and how is it calculated? CIPK stands for CO2 Intensity Per Kilowatt-hour. It is a measure of the carbon content of a kilowatt hour of grid electricity. The CIPK of a given grid is simply the amount of CO2 emitted by the generating plants within the jurisdiction responsible for that grid, divided by the total amount of electricity fed into that grid over a given hour. Of course, in order to calculate CIPK you have to know both of these figures. So here is how to calculate Ontario’s grid CIPK. You need to refer to Table 1, in the upper left-hand sidebar on this page. Table 1 gives the current Ontario grid generation mix (it draws from data published at www.ieso.ca), and the CO2 emissions associated with the emitting fuel types. Go to the Total row in Table 1. Take the figure from the CO2, tons column. While still in the Total row, now take the figure in the MWh column. Divide the CO2, tons figure by the MWh figure. Multiply that result by 1,000. This converts tons-per-megawatt-hour into grams per kilowatt-hour. The WWF was right to launch Earth Hour from Australia, because Australia’s CIPK of grid electricity is so obscenely high. But then, like all vapid celebrity-based social movements, Earth Hour dissolved, under WWF’s leadership, into a headlong dash to tally meaningless metrics like numbers of humans the world over who observe Earth Hour. Meanwhile, Australia’s CIPK did not change at all, which means Australian power plants continued to dump hundreds of millions of tons of CO2 into the global atmosphere. How did such a dumb idea as Earth Hour jump across such a big ocean? I think it is because Earth Hour, like all greenwash, is just so easy. It really is easy to pile into a gasoline-powered SUV and drive into the center of a city and wander around admiring the soft, romantic light from all those paraffin candles. Why did Earth Hour have no impact at all on Australia’s electricity-related CO2 emissions? Because Australia makes most of its electricity by burning coal. Coal-fired power electricity comes with close to a kilogram of CO2 for every kilowatt-hour generated. While Australia’s citizens may be enthusiastic about Earth Hour, in the other 8,759 hours of the year, they use electricity like everybody else does: to make their lives easier and more comfortable. Now, Australians could have as much power as they want, with no CO2 emissions at all. They could achieve this quite easily, by simply replacing their coal-fired generators with nuclear ones. Look again at Tables 1 and 2 in the upper left of this page. You can see instantly why Ontario’s CIPK is as low as it is. It is because we make most of our power in nuclear reactors. Australians could achieve enormous uptake in Earth Hour participation, but Ontario’s electricity will still be much, much cleaner than theirs. Which means that Ontario could skip Earth Hour totally and still dump far less CO2 into the air. This is because Earth Hour should be about CO2 reductions, not switching lights off. The WWF opposes nuclear power. This is why they appear unfazed by the dismal failure of Earth Hour to achieve any impact at all, let alone a huge impact, on the actual amount of CO2 that Australia dumps into the air. As mentioned, a three-gram-per-kWh reduction in Australia’s CIPK—a reduction, that is, from 850 grams in 2007 to 847 grams in 2010—is hardly one of the “huge impacts” the WWF aims to achieve. Which means we should just ignore the WWF’s dumb ideas. Even if those ideas came all the way across the Pacific Ocean. They are worse than useless. That the WWF is spending so much money running ads to get people to partake in such meaningless exercises shows that its ideas tank has run empty. You want to really help the Earth during Earth Hour? If you are in Ontario, or Quebec, or Newfoundland-Labrador, or Manitoba, or BC—all provinces with a low CIPK of grid electricity—then stay at home in an urban high rise, and watch TV or have dinner by artificial (i.e. rechargeable battery-powered) candlelight. ← Russian gas vs. European electricity: will the Third Electrification win the sanctions war? WWF and FUDmisters royally get away with it because the nuclear community and its organs like NEI and ANS sits on their hunches silent in a corner without picking up the phone and giving the media a piece of our mind and grievances for a fair image shake. Am I going to blame the WWF for running amok unchecked and misinforming the public while nuclear community organizations and pros stand by? Who do you blame for the tragedy; a gopher stupid enough to stick its neck out a lone hole in a field or the hawk doing what hawks naturally do that spots and sweeps down and snatches him for dinner? The gopher in my view! Vince McMahon gave up the fight against the other guys because it was too expensive and not worth the effort.He realized WWF, the wildlife guys, take in several hundred million in donations every year, while his WWE would have to pay their lawyers straight off the top, putting them on shaky ground financially. Vince has survived quite nicely without risking his organization’s financial health against the bottomless pit of WWF money. The shafting of McMahon is typical of how all the progressive so-called charities operate, they will beat you into the ground in Court if you dare to defy them. I will celebrate Earth Hour in the usual way,go about my regular routine without a thought to this foolishness. And I was raised in a place and time where we had no electricity or indoor plumbing for the first eight years of my life.For me as a kid it was no fun, for my Mom who had to cook and do laundry for a family of eight it was pure misery. Tonight I will celebrate the great technological advances we have made in the last century and be thankful for them,while the urban idiots raised in technological luxury can huddle in the dark and contemplate how easily fooled they are. Energy 101 is this: Energy is a CONTINUIM—>Proper handling of supply and demand is something that necessary to have the grid stable. If you turn off all the lights and put a serious gap in the “stasis” of the grid; then when you turn all the lights back on AT THE SAME TIME you put a serious load on the grid to get the power back up to the sudden demand for electricity. It will cause a RISE in emissions to do so. I think the calculation is for 1 hour you still fall short 4 minutes in emissions. You would be better to leave them on.